The Packers are working from the bottom up in terms of signing this year’s draft picks. The last three players Green Bay selected: OL Marshall Newhouse, RB James Starks and DE C.J. Wilson have signed with the team. Newhouse was the second of Green Bay’s two fifth-round draft picks. He appeared in 52 career games and was a three-year starter at TCU. Newhouse also earned first-team All-Mountain West Conference honors as a senior. Starks, a sixth-round selection, is the University of Buffalo’s all-time leading rusher, despite playing just three seasons for the Bulls. Starks missed all of 2009 because of a shoulder injury. He also holds school records for rushing touchdowns (34) and points scored (222). Starks could push Brandon Jackson for playing time behind Ryan Grant with a strong training camp. Wilson, a seventh-round pick, was a four-year letterman at East Carolina. He started 37 consecutive games to close out his college career. Wilson recorded 192 tackles and 27 sacks, while earning first-team All-Conference USA honors in each of his final two seasons. 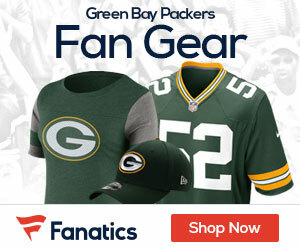 Four of Green Bay’s draft picks remain unsigned but the team is expected to have all its rookies taken care of by the time training camp starts.